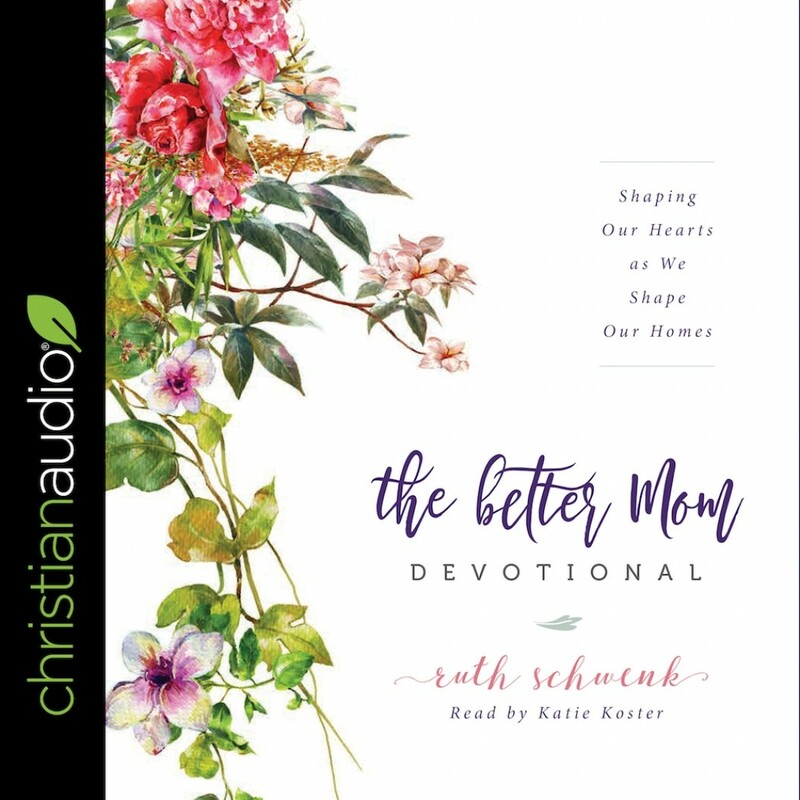 The Better Mom Devotional | Ruth Schwenk | Audiobook Download - Christian audiobooks. Try us free. As a mom, you always want to give your best to your family. The Better Mom Devotional will help you focus who you are becoming rather than what you are accomplishing. Find freedom from mom-guilt, the myth of perfection, and the endless to-do list of motherhood, and step into your greatest adventure yet: becoming The Better Mom. Rediscover the gift of motherhood with The Better Mom Devotional by trusted author Ruth Schwenk. As a busy mom of four, she understands the constant needs of raising a family, but she has uncovered a secret: becoming a better mom starts not with what you are doing but with who you are becoming. The importance (and simplicity!) of creating a welcoming, functional, and beautiful home for your family—no Pinterest boards required!